All prices include shipping. We are unable to ship outside of Canada. You may also pay using interac e-transfer to [email protected] or by cheque. 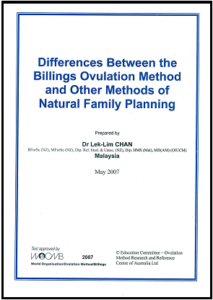 Knowledge of fertility that will serve a woman throughout her reproductive life. Do you know a new graduate, engaged or newlywed couple, a new mama, or a friend struggling with infertility? 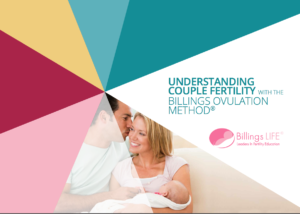 Give the gift of personalized & confidential Fertility Education. 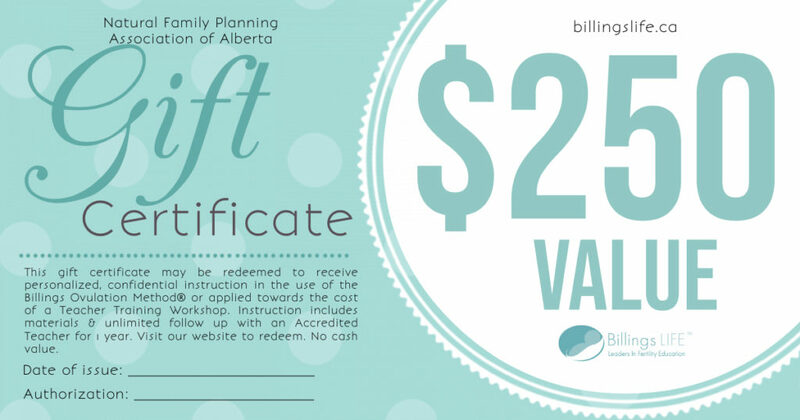 Gift Certificates are also appropriate for the Accredited Billings Teachers & Trainees in your life! They can be redeemed towards the cost of Teacher Training and ongoing education workshops. 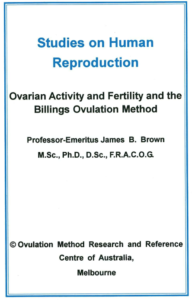 16 page instruction booklet outlining the basics of the Billings Ovulation Method®. 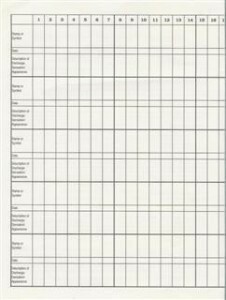 This guide is a quick reminder of the instructions, to be used on conjunction with proper training & follow up with an Accredited Teacher. 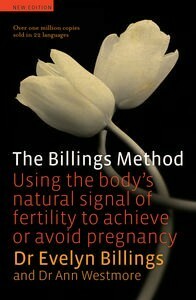 The Billings Method was first published in 1980, was a best seller then and has never been out of print since that time. 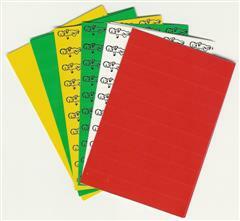 Over one million copies have been sold in 22 languages. 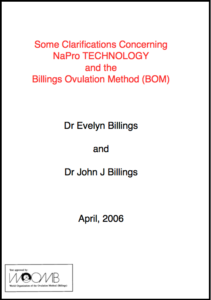 This new edition is completely revised and updated and provides an essential resource for all those wishing to use the Billings Ovulation Method® to achieve or avoid pregnancy or to monitor their reproductive health.